The Board shall consist of nine (9) Trustees. Board Trustees serve a three (3) year term and are elected by Vestal Central School District voters. Library Fiscal and Trustee Term year runs July through June. • The Board of Trustees meets the third Tuesday of each month at 6:30 pm in the Library. • All board meetings are open to the public. 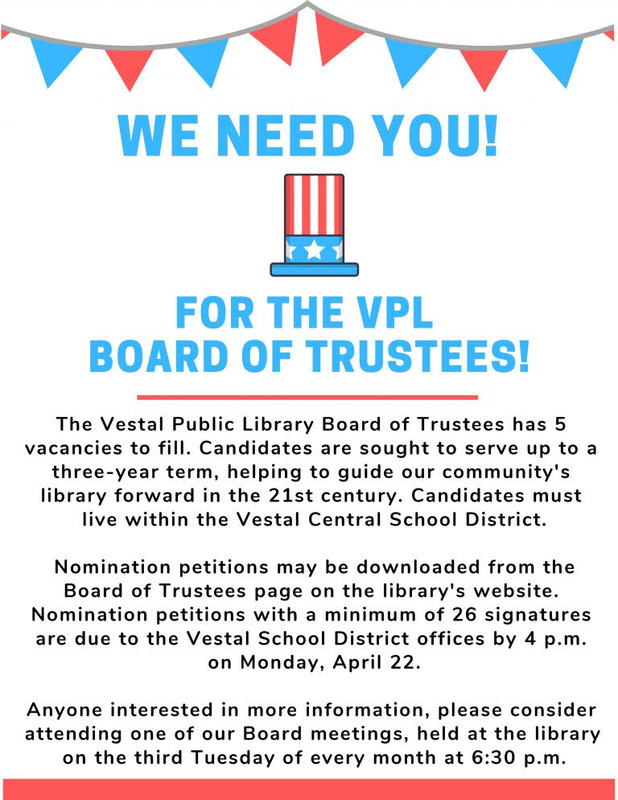 Interested in becoming a Library Trustee? 5 Trustees needed beginning July 1, 2019.